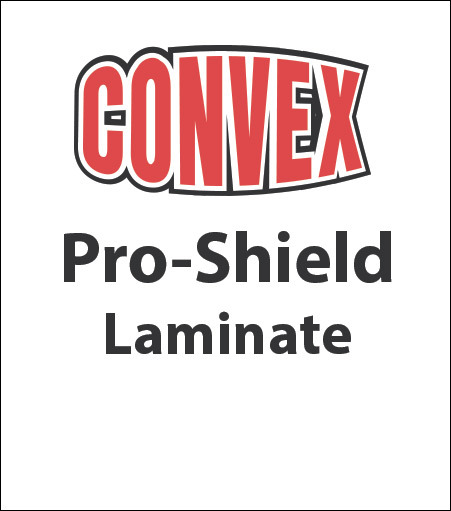 Convex® Pro-Shield™ Laminate is a heavy duty, flexible clear vinyl laminate with a permanent acrylic adhesive that has an extremely durable surface and a resistance to failure in abusive applications. Pro-Shield™ isn't as soft and pliable as Convex® laminate, but it is high-gloss and tougher to rub through. It conforms well with the aid of a heat gun.